Generalfeldmarschall Albert Kesselring in a photo studio by Walter Frentz after receiving the Brillanten #14 zum Ritterkreuz des Eisernen Kreuzes mit Eichenlaub und Schwerter (14th Diamonds of the Knight's Cross of the Iron Cross with Oakleaves and Swords) in 19 July 1944 as Oberbefehlshaber Süd (Commander in Chief South). 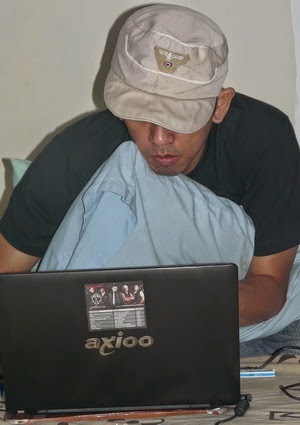 He also wear an Italian Pilot's Wing (Pilota Militare) in his uniform. Albert (or Albrecht) Kesselring (30 November 1885 – 16 July 1960) was a Luftwaffe Generalfeldmarschall during World War II. He was one of Hitler's best and most able commanders, most respected and skillful generals of Nazi Germany. He commanded air forces in the invasions of Poland, France, and the Soviet Union, and the Battle of Britain (virtually every front, certainly every important front, and in various capacities). Never a Nazi himself, he could just as easily command an air fleet in Göring's Luftwaffe or a whole army fighting in the field. 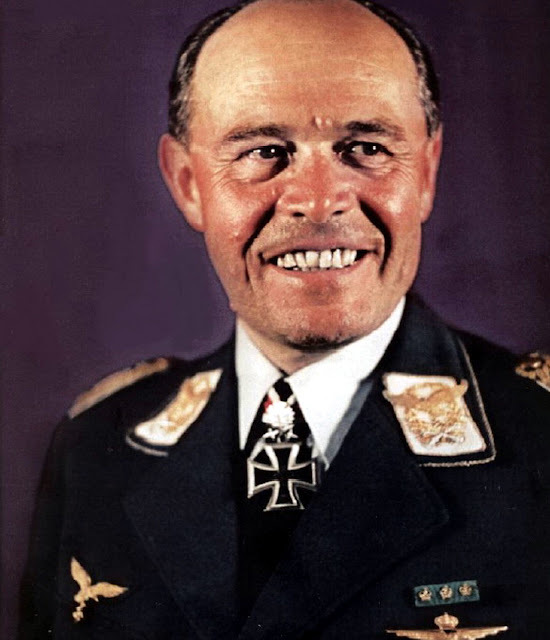 A superb organizer and tactician, his reputation for good humour and common sense won him a special place in the hearts of the men he commanded. He won the respect of his Allied opponents for his military accomplishments, but his record was marred by massacres committed by troops under his command in Italy. After the war, Kesselring was tried for war crimes and sentenced to death. The sentence was subsequently commuted to life imprisonment. A political and media campaign resulted in his release in 1952, ostensibly on health grounds. He was one of only three Generalfeldmarschalls to publish his memoirs, entitled 'Soldat bis zum letzten Tag' (A Soldier to the Last Day). Kesselring died in a sanatorium in Bad Nauheim, West Germany, on 16 July 1960 at the age of 74, following a heart attack. His former chief of staff, Siegfried Westphal, spoke for the veterans of North Africa and Italy, describing Kesselring as "a man of admirable strength of character whose care was for soldiers of all ranks". 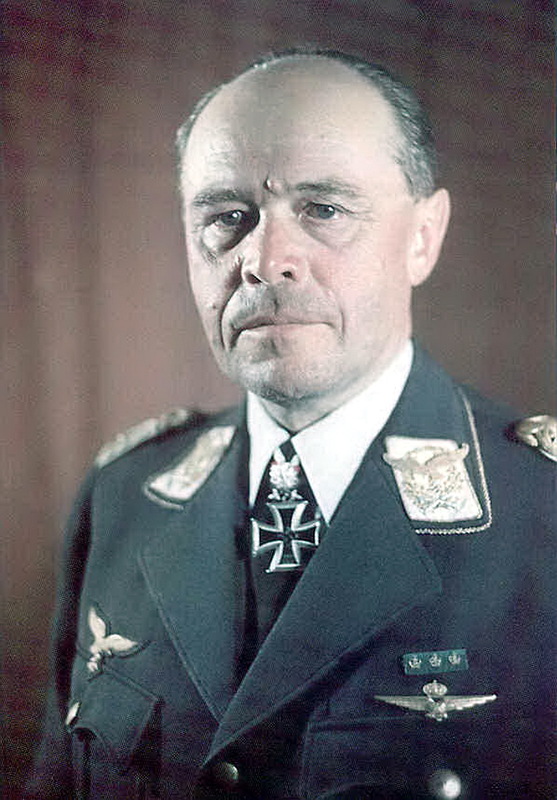 General Josef Kammhuber spoke on behalf of the Luftwaffe and Bundeswehr, expressing the hope that Kesselring would be remembered for his earlier accomplishments rather than for his later activities. In 2000, a memorial event was held in Bad Wiessee marking the fortieth anniversary of Kesselring's death. No representatives of the Bundeswehr attended, on the grounds that Kesselring was "not worthy of being part of our tradition". Instead, the task of remembering the Generalfeldmarschall fell to two veterans groups, the Deutsche Montecassino Vereinigung (German Monte Cassino Association) and the Bund Deutscher Fallschirmjäger (Association of German Paratroopers). To his ageing troops, Kesselring remained a commander to be commemorated.